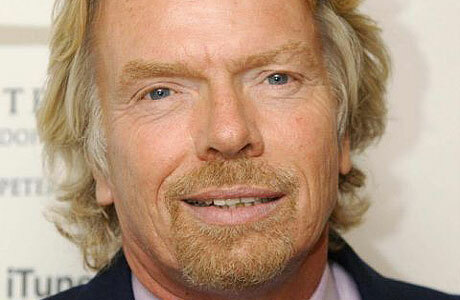 Sir Richard Branson is a highly successful British entrepreneur. He created the Virgin Group with more than 400 businesses including Virgin Atlantic Airways, Virgin America, Virgin Mobile, even a space exploration company Virgin Galactic. A high-school dropout, Branson is a highly unconventional entrepreneur who overcame his dyslexia to become a self-made billionaire. From his various writings and interviews, here are some business tips from Richard Branson. “Whether you have a product, a service or a brand, it is not easy to start a company and to survive and thrive in the modern world. In fact, you’ve got to do something radically different to make a mark today. At a casual glance, one would think that we have been rather opportunistic in our choices over the years about the businesses and sectors into which we expanded. Initially, we moved into areas where I had a personal interest (such as music and media); then, as we began to understand more about Virgin’s strengths in terms of customer service, where we felt industries were ready for shaking up (airlines, health clubs, mobile phones); and more recently where my passion for exploration has taken us (space and deep ocean tourism). Our choices were not random or merely reactive, but guided by our decision to take an entrepreneurial approach to expansion. Instead of pushing our teams to do ever more intensive analysis to pick our next venture – which can slow the whole business down – I set a priority on our remaining open to new ideas. It is one of the reasons that I always urge people to pursue their own interests outside work and to take regular vacations. Exercising your creativity in other settings isn’t just relaxing; you’ll stay informed about developments in other fields and connect with a wider circle of people than you might encounter at work. Keeping your thinking fresh and original makes good business sense!